Music icon King Sunny Ade has been appointed an ambassador of ‘Change Begins With Me’, a national re-orientation programme. Minister of information and culture, Lai Mohammed, made the appointment on Monday when he received the music maestro in his office. 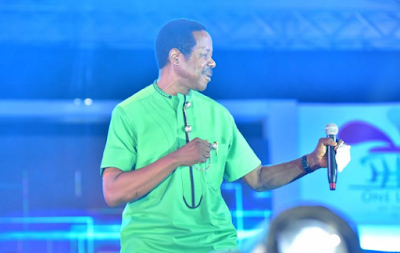 Mohammed described King Sunny Ade as an icon and a trailblazer for being influential in the music industry for over 50 years. “We are looking for people like you (King Sunny Ade) that the younger ones can look up to. It’s not just that you have been around for fifty years but you have been around for fifty years without any single stain on your part and that is very hard,” he said. “Most people like you would have had one issue or the other that today their integrity would be at stake. Your integrity is as strong if not stronger than when you started. So it would be a pleasure if you can accept to be our Ambassador of the “Change Begins With Me”. Mohammed said after performing music for fifty years, the energy, dexterity and the passion exuded by KSA have remained amazing and a source of inspiration for the younger artists. He hailed the musician for promoting the juju music genre to an enviable height with an originality that makes imitating his music an exercise in futility. The minister said this administration is paying more attention to the development of the entertainment industry because of its vast potential in generating employment and creating wealth. He said he has come to the conclusion that there is a systemic weakness in the industry, especially the inability of government to adequately protect the intellectual property of the nation’s artists, an issue he said his ministry is now tackling with stakeholders. While accepting the offer to serve as an ambassador of the Change Begins With Me campaign, KSA pledged to partner with the ministry of information and culture to move the nation forward. He thanked the minister for the uncommon passion he has shown to the entertainment industry.